MAKEL GROUP is founded in 1977 and specializes in production of switches and electrical accessories (double electric switches, 1 to 3 schuko electrical sockets and connectors), automatic circuit breakers, fuse boxes, measurement and control devices. Today, the company also manufactures fuse panels, relays and many others. MAKEL offers its product portfolio successfully both on the domestic market in Turkey and on international markets. Using the most advanced technology and equipment, as well with the help of experienced team of engineers, MAKEL carries out their activities with continuous and strict quality control. The company conforms to TSE, VDE, GOST, Kema Keur and ISO 9001: 2008 - System for Quality Management therefore can promise a premium quality and safety. The company has its stable positions on the national as well as on the international markets for years and is among top 500 in the list of world exporters. VIKIWAT Ltd. is the biggest Bulgarian wholesaler and retailer of electronic components and electrical materials and offers to its customers a wide range of MAKEL's product catalog. In our offline and online stores you can find in stock quantities of 1 to 3 schuko electrical sockets and connectors, double electric switches, electric boards for indoor and outdoor mounting, three-pin plugs Schuko type, network switches, built-in switches with light button, with dimmer, as well as external switches at affordable prices with quick delivery. 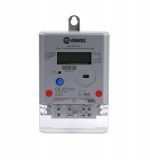 Electric Meter, single phase, digital M600.2251, MAKEL Digital electricity meter with backlighted LCD screen, 1 to 2 tarrifs, with automatic and manual (with button) way for energy measurement. 3-phase meter TS510.2251, 3х230/400VAC, 5(100)A, electronic, for active energy Active energy meter TS510.2251 with voltage 3х230/400VAC, current 5(100)A and accuracy class 1. Inline Lamp Switch, 250VAC, 6A transparent Inline Lamp Switch 250 VAC, 6 A, transparent. Socket for halogen lamps and ampoules G9, with ring Lamp holder G9, with wires. 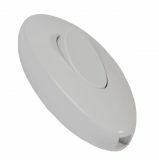 It is intended for mounting in desk lamps and other lighting fixtures. List Price 1.90лв. VAT Incl. 1.80лв. VAT Incl. 1.71лв. VAT Incl. 1.61лв. VAT Incl. 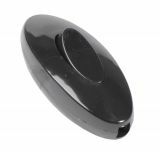 Inline Lamp Switch, 250VAC, 6A, black Inline Lamp Switch 250 VAC, 6 A black. Inline Lamp Switch, 250VAC, 6A Inline Lamp Switch with voltage 250 VAC and current 6 A.
Inline Lamp Switch, 250VAC, 6A Inline Lamp Switch 250 VAC, 6 A.